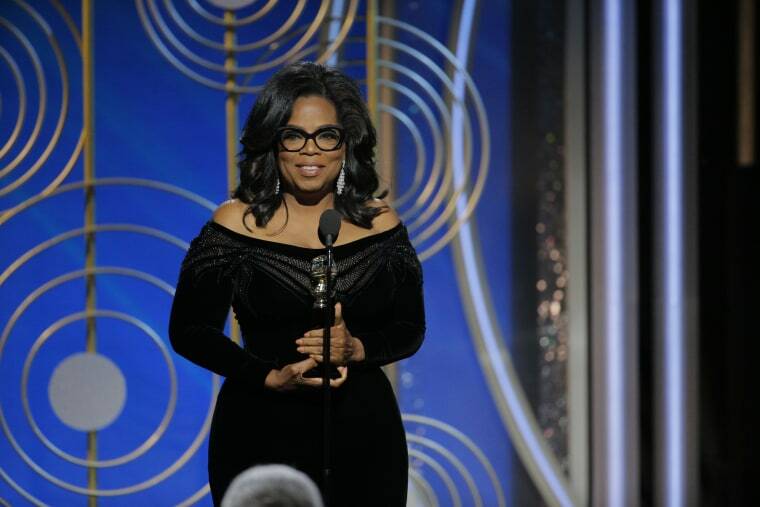 In a new interview with CBS, Oprah Winfrey has shut down the rumors that her powerful Golden Globes speech signaled a political future. "I think I heard or read something that said ‘oh, doing that [Golden Globes] speech you must have known you were dipping your toe in the water of politics,'" she told the network. "Are you kidding me? I was just trying to give a good speech." She went on to explain that the speech was the result of "looking for a way to express what was going on in this moment in terms of gender and class and race." She also noted, in what is actually a pretty politically savvy thing to say, that she hadn't yet felt that God wanted her to run, which is another reason she's holding off. Still, the mogul admitted that she'd gotten support from other extremely wealthy and powerful people, which made her consider the whole thing a little more. "I had a lot of wealthy men calling, telling me that they would run my campaign and raise $1 billion for me," she said. "I think that when you have that many people whose opinions you value coming at you, it's worthy of thinking about." Ultimately, however, Oprah feels her power lies outside the realm of politics. "I do feel that I have a responsibility, as a person who has a big voice in this country, to use it to promote justice and kindness and goodwill in the world," she said. "But it has never felt to me that that was supposed to be political."